There’s nothing necessarily sinister about this subterranean data exchange: this is, after all, the advertising ecosystem that supports free online content. All the data lets advertisers tune their ads, and the rest of the information logging lets them measure how well things are actually working. In a nutshell, this is the point we need to keep in mind when thinking about Google’s tracking of users, Facebook’s data-collection policies or even Twitter’s moves to sell historical data to analytics providers: namely, that those kinds of activities are what fund the services we use. Google and Facebook both run dozens of multibillion-dollar server farms that hold all of that free email and photo hosting users are so enamored of (Facebook alone holds more than 140 billion photos). That is one reason why Google’s only opt-out feature is to simply not use the company’s services at all. The tracking and analytics and the services themselves are so intertwined it is probably impossible to disentangle them. I will go a step further: I’m not just ambivalent about this kind of tracking — I actually want to be tracked by companies like Google and even Facebook. Not just because it helps pay for the services I use but also because it should (theoretically at least) make my Web experience better, by targeting ads and other things toward me instead of bombarding me with useless advertising that turns most websites into a garish nightmare, the visual equivalent of email spam. If tracking my activity (which is anonymized by the majority of companies who use it) helps reduce that problem, then I am all for it. I wrote not long ago about a privacy complaint from a number of groups who complained that Google and WebMD and other services showed users ads based on the fact that they were searching for medical terms, and my point is the same now as it was then: I want Google to track my search so it can show me relevant ads and other content. If I have cancer or know someone with cancer, showing me information about cancer has a high likelihood of being beneficial. Maybe it’s just me, but I don’t see it as intrusive; I see it as a service, if it is done well (and that is the holy grail for advertising). Obviously this doesn’t mean we should just allow companies to do whatever they wish when it comes to tracking our Web behavior. Encouraging them — and if necessary, forcing them — to be transparent about what is happening and what the data is being collected for is a worthwhile goal, and that’s what much of the Obama administration’s new privacy “bill of rights” is designed to do. And yes, Facebook should probably quit screwing around with its settings all the time and changing things to be opt-out instead of opt-in, but I have no issue with them tracking me via the Like button. There are plenty of quasi-shady companies that track your behavior online and merge your identity from one network into another, as Rapleaf has been accused of doing in the past, and that is worth criticizing. It’s probably worth being skeptical about how (and why) the Department of Homeland Security and others are tracking your behavior as well. But lots of offline companies and agencies collect all kinds of data on your payment history, credit score, insurance claims and other crucial information, and no one seems to be interested in how little we know about that process. Society is crumbling because of mindless greed and insecurity. The 99% who “occupy” (complain) about everything only have themselves to blame. We’ve helped build this system for years. Electronic tracking and luring the weak (consumer) is no concern if you don’t subscribe to social networking. Are those narcissistic photos on Facebook necessary? Do you really think people need your Tweets? Is the latest “magical” Apple gadget so life changing? Free gmail might mean tailored ads but there’s a bigger picture here. Humans have become cattle. We follow the herd without questioning because “want” has taken over “need”. Billions of insignificant people acting like children, striving to belong and be recognized as unique but never wondering why. Life has become a predictable formula that will eventually swallow up every ignorant consumer in its path. Instead of obsessing and lining up for the latest version, to fight for the hottest deal and mindlessly compete over the product that’s best advertised to make you feel whole… try thinking outside the box. Stop trying to control or strive for more, because it will never be enough. You don’t need social networking to belong, and you certainly don’t need to fulfill anymore desire. Enable adblock if you need help with self-indulgence. Disable cookies if you want more control. You’re not obligated to be part of this system so get off the treadmill while you can because it’s not impressing anyone but yourself and those who will take your money. Don’t want to give away your non-personally identifiable information (PII) in exchange for free, amazing online tools (Google Search, YouTube, Gmail, Facebook, Google+, etc)? OK, then prepare to pay a monthly fee to these companies to use their products. Can’t have it both ways. And, if you don’t have anything to add to the conversation besides, “I don’t want to be tracked,” and offer no alternative solutions, you’re a waste. It’s quite creepy that everyone here is saying “I like being tracked”. I don’t like being tracked. I could care less about some stupid advertising company’s bottom line. No matter what ad is blinking obnoxiously in front of me I refuse to click on it, And I make a mental note to not buy anything from that company. Amen to everything except the bit about making a mental note, that isâ€”boycotting companies for advertising their products doesnâ€™t make any sense to me. It used to be that pop-ups were the worst, but now they have frames that pop up within your active window. Likewise, little punch the monkey .gifs used to be annoying but now they have huge flash ads with sound that can grind older machines and mobiles to a halt. Those are the boycott-able companies. Ad-sense ads aren’t that way, but not everyone is using just Ad-sense. You boycott them for partnering with and approving campaigns that go way beyond “we’d like you to hear about our product” and into “hey, I know you came to this website to do X, but I’m going to cover the content you came to see and refuse to go away until you give me an email address or a click-through”. Oh, okay. I didnâ€™t realize you meant only the really obnoxious ads. 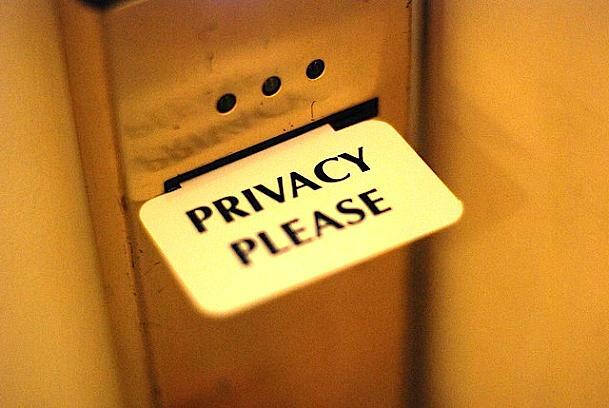 Why do companies have to have personally identifying information, such as name, address and telephone number? I like the idea of getting advertising specific to me, but I don’t like the idea of them knowing specifically who I am. There should be no tie between a specific Internet user and their personal identity. There should be no way for anyone, including the government to figure out who the person was that went to a specific website. What you are talking about is the devaluation of your personal data. When everyone knows about you, you will only get what is most likely going to sell to you. Your traits and weaknesses are known, you will be excluded from other stuff. The system needs a turnaround. I can own my preferences, I own my history. Selectively I may expose it to get inspiration and offers from advertising. Other times I let serendipity kick in. What a waste of energy, effort and brain power to have X companies collect the same information about you and then guess what to show you. The consumer needs the personal data as bargaining power, the new EU regulation is going in the direction. Differentiation of service providers must come through their service, not through monopolistic situations with personal data as a hostage. Excellent post. It’s true that Google isn’t the issue per se, and yes, I’d prefer ads that I might actually want to see. But Google’s a US company and subject to the Patriot Act. I’m not a US citizen, so have no legal protection or redress if spied upon. If Google is asked for my web history, they cannot refuse. I know for it is “degrading”. My biggest pet peeve, aside from the annoyance, is the ads for Spam, the meat-like product, that appear when you check your Gmail Spam folder. That should be a no-brainer. rule by algorithm leads to lowest-common-denominator thinking and confirmation bias, produces a lack of trust in the (immense) powers of one’s own intuition and consciousness …. AND wastes ones time AND attention with cleverly hooked ads for stuff you STILL don’t need. it is a very old-paradigm manipulation concept, rendered new with advanced tech .. and totally abusive, still. advertising is a disease based on insecurity and ego.